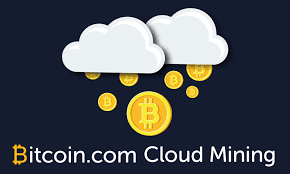 Cloud mining as most people don't really know much about it, is about mining Bitcoins on a remote Data-center with shared power process... With this process of mining you don't really need any hardware or heavy machines to mine Bitcoin, Ethereum and other cryptocurrencies. Due to the rate of scam that has been involved in this cloud ming i have decided to list out 6 geneuine site that you can invest with. What is required to make use of cloud mining? As the service is been managed by mining companies, As a customer all you have to do is register with any of the sites that will be mentioned below, Then purchase a mining contract or shares on the site. what rate do i get in return? No much profit compared to the other kind of mining related to making use of heavy machines, they is generally some costs in attached to this service and this can result to lower return for the miner/you. Focusing on the topic above some cloud mining sites will be listed below to let you know thw ones you really have to work with to avoid being scammed. Starting with GENESIS MINING as the largest mining provider for Bitcoin, Ethereum and other coins. From the brief on Cloud Mining above Genesis mining is not that profitable, Actually it provides what it really offers. Genesis mining has a very nice user interface with an easy process to purchase hash power without dealing with the complex hardwares and software set up, the only thing for you to do before mining is assured is create an account with them and fund the account, They have varieties of ways which you can use to fund your account, To suite you. Is they a specific coin you can mine with Genesis mining ? 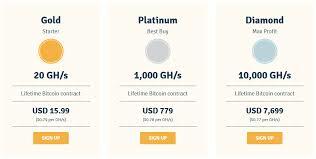 ●100 GH/S (GOLD) You can start with this plan which will guarantee of a lifetime bitcoin mining contract and it will cost you around $19, This plan will give a clue of how cloud mining works and the the profit attached to it. in conclusion Genesis is very nice and among the the best in cloud mining you really have to take a thought then invest in this company. Is a part of HashCoins a company founded in 2013, with the purpose of manufacturing and sale of cryptocurrency mining equipment. WHY SHOULD I TRUST HASHFLARE? And also provides you with full details of their workers, You will also be surprised that they have a unique feature like switching or changing mining pools which of course other cloud mining company have it and no proof that a contract is just pointing to specific pool. More or less 0.00178 BTC/GHS contracts of Bitcoin cloud mining in HashFlare, which got to the spot of being the most expensive on the writing of this review. Do They Have a High Maintenance Fee?Actually No, hashflare has a very low maintenance fee despite the fact that they have a high rate of pricing. It's possible to have USD 0.03/GH/month maintenance fee and that might be as a result of a lower electricity cost. And also they is a possibility that their maintenance fee might drop at anytime, this really shows how low their maintenance fee Is, they have the lowest maintenance fee, apart from those cloud mining without any maintenance fee. It should get to your notice that payout on Hashflare.io are made in BTC, so the total value of earnings in USD depends on the versatility of BTC/USD exchange rate. Due to its two confirmation process of authentication that will be sent thru email. HashFlare offers %10 referral bonus, which gives the privilege to be among the highest rate cloud mining company offering discounts . They don't offer signup bonus at this moment but have special offers from time to time. Hashflare mining company is a very nice mining company to work with and have yourself get away with some great features that will benefit you after the long run in the industry. This cloud mining company promises to offer 110% block rewards and 0% fees. As we all have the knowledge of the large bitcoin wallet that is being possessed by Bitcoin.com, which is one of the most popular wallets in the online market today. However, their website also delivers users with further information about the bitcoin world, which includes how to buy bitcoin, or the latest news from the world of bitcoin. Furthermore Pool.Bitcoin’s pool is a cloud mining pool. You purchase on the pool at a fixed price, pay a daily fee, and then enjoy a fixed hash rate for the year. 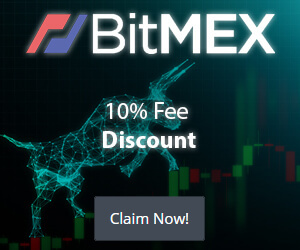 Their “110% block reward” claim has brought some sensation in the market, seems users don't understand how the extra 10% was achieved, But then the company said it comes from bitcoin transaction fees, apparently the company is benefiting from the bitcoin network’s relatively high transaction fees. Pool.Bitcoin cloud mining pool was launched in May 2017.
WHO DO THEY PARTNER WITH? Pool.Bitcoin had it that they partnered with the North America’s largest bitcoin mining data center before the launching of the cloud mining pool in 2017. The location of the Data-center is not disclosed for some security reasons. However, all hashrate for the pool appears to come from that data center. 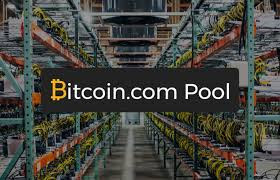 They is a dedicated team which is responsible for all contract sales for Pool.Bitcoin Meanwhile, the cloud mining platform was created by Pool.Bitcoin developer Shaun Chong under guidance from the company’s CTO, Emil Oldenburg, and Bitcoin.com’s CEO, Roger Ver. They are operated by a Saint Kitts and Nevis-based company named Saint Bitts. HOW DOES BITCOIN POOL MINING WORK? Bitcoin.com works same way other cloud mining services does, You fund your account get started, then benefit a certain amount of money from Pool.Bitcoin’s cloud mining operations per day. None of the mining will be done by you, You’re paying Pool.Bitcoin to operate mining software on your behalf. However, if you have a miner – like an Antminer S9 or Avalon 721 – It will be easier for you, all you just have to do is connect it to the Bitcoin.com pool using their address displayed online, then after a day of mining all the shares earned that day will be visible on your account, letting you know that you're being paid without any mistakes. You can customize the hashrate of all plans, starting at just 1 TH/s and ranging all the way up to 15,000 TH/s. The cost per TH/s is always fixed. Right now, all Bitcoin mining pool subscriptions charge between $200 and $300 per TH/s. You don't need any special training to start mining, you can start mining at any time, Again, you’re just paying Pool.Bitcoin to operate mining equipment on your behalf. They also have this feature of allowing you switch between which coin you want to mine but not like the hashflare, bitcoin is specific on the two coins owned by their company which is Bitcoin and Bitcoin cash, you can choose which one to mine respectively. Bitcoin.com from the reviews above you can decide how good it is for if you can register with them and also work with them, but from what I see they are really good. its goal of existence is to enable professionals and newbies of same motives access to the same quality resources as the industrial miners to allow effective mining. Hashing24 made their locations available on their website to make users have some trust on them. The offices are located in Thailand, Ukraine, and Scotland. Immediately you access to your mined bitcoins (within 24 hours) they will be an automatic deposit of mined bitcoins to wallet without any delay, they really have a fast service that will interest you. By buying this plan, you will be provided on a daily basis the benefit of the ordered power, which will be sourced from equipment located in the data centers of their partners, BitFury company. If they let their users signal for certain features, kind of like Slush Pool does. Thus this feature should have been into the market but then no mining company has implemented it already, what will the reason be about? So many users will like and Cherish this feature, hope hashing 24 will implement this and then have a great exploration in the company with an outstanding feature. 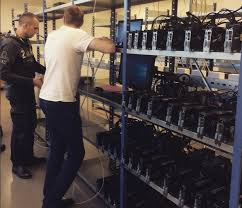 In conclusion unlike other mining companies Hashing 24 has a mining hardware, with that you can verify that they really stand out among those companies that will rather pay you payout pretending that they have machines. This happens to be among the oldest cryptocurrency cloud mining device they have been in the market since 2013. Their platform is diverse and has alot of interesting features to offer You can rent their hardware mining equipment and mine SHA256 or Scrypt Coins for as short as 24 hours or 5 years or join custom mining pools. They also partner with medical & Scientific charity foundations such as [Cloud SETI or Cloud Folding] and Give out rewards back in coins for users who donate. Eobot has more than 590 000 users that enjoy the benefits of the mining of the digital currencies without being bothered about the electricity costs or the cooling of the hardware. What coins can I mine with Eobot? You can donate to awesome scientific & medical projects and get great rewards back in crypto-coins and by taking advantage of their Faucet service. They also provided an app for smartphone users to serve those users well in their service. Eobot cloud mining plans is priced based on the hashpower of the equipment. The charge is $0.00021 GH/s daily for the 4GH/s Antminer S9 miner rig. Also a 34% maintenance fee for thr fraction of the mining fee and should be added to the charge for calculation purposes. All fees are deducted every minute from the final payout the client receives. Note that on their website, once a fee reaches 100% on a mining rig and on a cryptocurrency, they stop mining that coin. 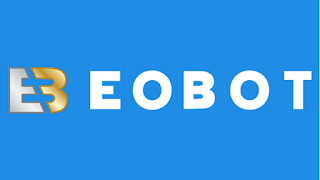 Despite the existence of Eobot the cloud mining business since almost the beginning, their service is more costly than the market average due to the high maintenance fees. Apart from that, the lack of information on the owners can be a barrier for upcoming clients. This cyptocurrency cloud mining company was created by a group of crypto coin enthusiasts that used to mine on bitcoin and decided to expand. It was released in the year 2014, since then have been creating some great impact in the crypto marketing system. Compared to most cloud mining sites where investors can only mine on one tyoe of cryptocurrency, Users are also enabled the ability to auto-mine coins with the highest exchange rate so that they can generate the most profit from their computing power. Looking at the way their site was design, if you decide to mine more than one cryptocurrency simultaneously, users shouldn’t be a victim in the decrease of hashing power. MinerGate has over 1.7million miners worldwide that embrass the company making the service one the largest operated in the market of cloud mining. Regardless of how popular MinerGate is they is no reputable information about who operates the system it remains anonymous the only thing left on the site is their mail ([email protected]). Further more their site remains private according to Who.is it was registered privately so as they will be no details of who registered the site. So MinerGate really operates on private mode like you cant determine where they are or where they located like some other cloud mining sites. They try as much as possible to provide miners with amount of unique features that can't be found on other cloud mining sites. Features like Smart Mining which helps investors know the cryptocurrency that will yield the highest profit on power ratio. Users have the ability to determine whether this feature be enabled, or if they prefer to mine a cryptocurrency of their own choice. 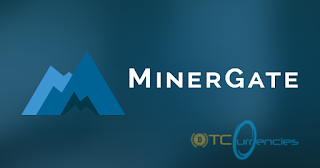 MinerGate supports a total of 14 cryptocurrencies. You will have to create an account at MinerGate.com. For newbies in mining cryptos, MinerGate provides their own wallet so users without any wallet address are enabled to start mining. After installing the software you will then have to select Start Mining, then verify the number of cores you wish to use. Telling from experience the fewer amount of cores you wish to enact, the slower hash rate you will generate, but the less stress your hardware will have to endure. In conclusion MinerGate is a big platform that carries out about thousands of transactions from different users daily, so it has no reason to terminate such reputation so MinerGate is not a Scam as people might refer them to be.